We love living in Los Angeles. With its palm trees, proximity to the ocean, and diverse culture, food, and art scene, we could not be more proud to call this dynamic and vibrant city our home. But, with almost 4 million people and continued growth, sometimes we need to escape. To breathe fresh air. To hear the sound of waves and wind (or anything that isn’t the sound of car horns on the 405). For the sake of our wellbeing, rest and self care are essential. Escaping to nature benefits our physical and emotional health, as well as our relationships and career. And while self care can be practiced almost anywhere—at home, the yoga studio, a quiet nook amongst the city chaos—it is sometimes best experienced during a scenic and secluded getaway. So, to further encourage our fellow Angelenos who need a relaxing and quiet weekend away, here are a few of our favorite cozy towns for rest, reflection, reading, and self-care—all within a short drive of our beloved city! Northwest of Los Angeles, Ojai is just inland of Ventura and borders the Los Padres National Forest. With a temperate climate—high 60's/low 70's in the spring and winter, mid to high 80's in the summer and fall—Ojai is a small oasis attracting tourists and locals for its eclectic art scene, outdoor activities, and small-town atmosphere. Once a rundown, discarded motel, The Ojai Rancho Inn is now a roadside gem, transporting guests back in time with its preserved and restored 1950s architectural elements and decor. 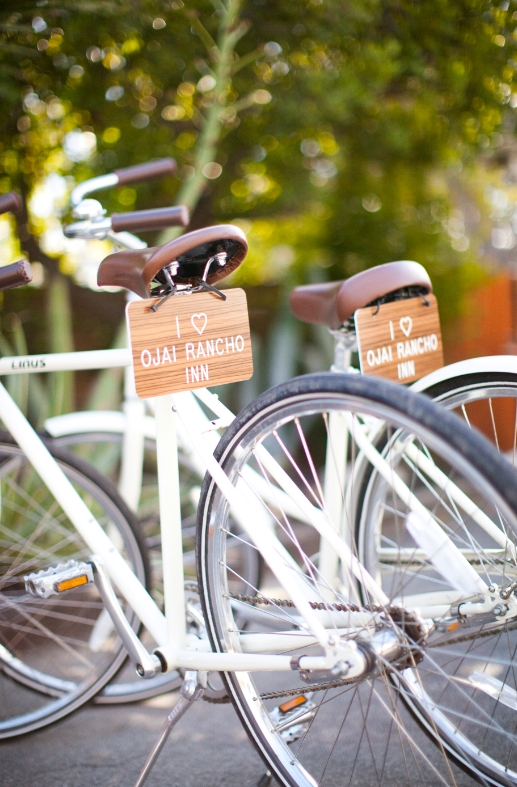 King-sized beds, a poolside bar, and complimentary bicycles beckon Angelenos to spend a weekend away from the city. Kitchenette, jacuzzi, and fireplace rooms are also available. Rooms start at $130/night. Whether you are looking for groceries, lunch on the patio, or an afternoon smoothie to-go, The Farmer and The Cook has it covered. Serving organic, locally-grown foods, this market/restaurant/farm trio is perfect for nourishing your body. For a more eclectic and luxurious dining experience, visit Suzanne’s Cuisine. Opening in 1992, this mother-daughter owned restaurant serves delicious French and Italian-influenced American fare, emphasizing local ingredients and fresh produce. Ojai sits right on the edge of Los Padres National Forest, granting visitors access to numerous hiking trails for all skill levels. The Ojai Meadows Preserve, a 58-acre restoration project, invites vacationers to connect with nature, view wildlife, and escape the hustle of the city. We highly recommend taking a guided tour to learn more about the preserve and its environmental conservation efforts. Back in town, Bart’s Books is the largest independently owned and operated outdoor bookstore in the United States. Opened in 1964, the store is an iconic legend. With plenty of seating options and literature covering numerous subject matters, this shop is a book lover’s dream and the perfect place to spend an afternoon. We love actress Gabrielle Union’s moving and thought-provoking collection of essays and recommend bringing along your own copy for weekend reading. Powerful, courageous, and wonderfully genuine, Union tackles the most complex and important subjects including race, gender, feminism, sexual assault, and fame. 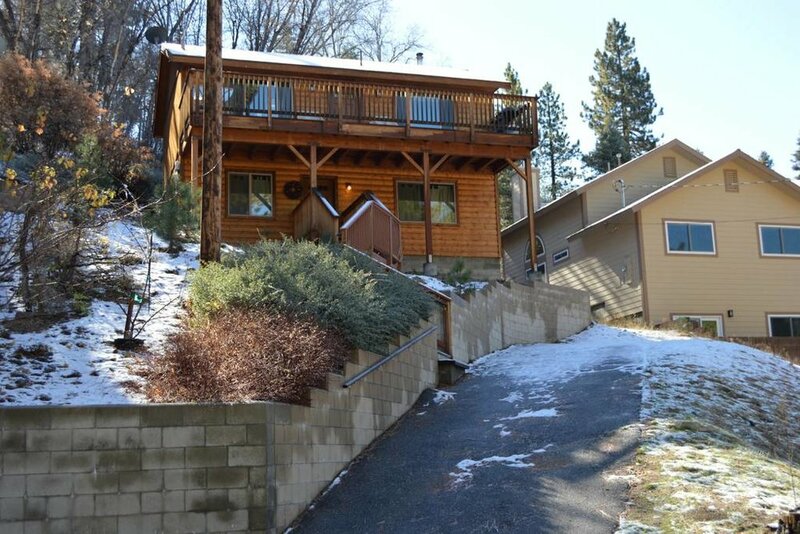 90 minutes east of Los Angeles you will find yourself in what has been called the “hidden gem” of the San Bernardino Mountains, Green Valley Lake, California. 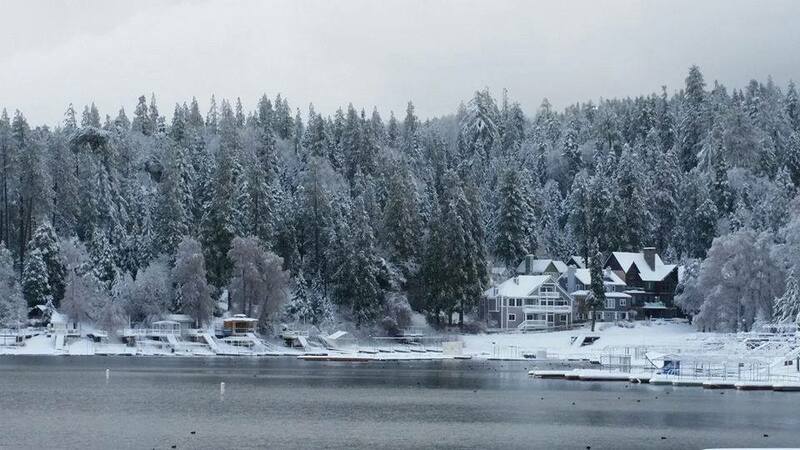 At 7,200 feet in elevation, Angelenos can experience a ‘real’ winter, complete with snow, skiing, and a frozen lake. In the summer, Green Valley Lake can be a much-needed retreat from Southern California’s triple-digit temperatures. Indulge your inner mountaineer and choose from numerous cabins and cottages on rental sites like Airbnb or Vrbo. We love the contemporary, yet rustic decor of The Lake House—complete with a wood burning stove and large deck for morning coffee. Rates start at $85/night. In all four seasons, Green Valley Lake is abounding with outdoor activities. In the summer, the nine-acre lake is lovely for a morning swim or afternoon of kayaking. Nearby hikes are also attractive for exploring lush forests and discovering wildlife. And in the winter, frequent snowfall is perfect for learning to cross-country ski, building a snowman, or just curling up with a book and mug of tea by the fire. Green Valley Lake does not have many food options for plant-based diets, so we recommend bringing your favorite ingredients to cook in your cabin. If you are out for the day and exploring nearby Big Bear Lake, be sure to stop by the Big Bear Farmers Market for fresh produce and local ingredients, open on Tuesdays, April through October. And if you find yourself at Lake Arrowhead, also nearby, stop in Belgian Waffle Works for delicious waffles (gluten-free options) or a colorful veggie sandwich. We love the beautiful selection of adult coloring books designed by Johanna Basford. A childhood pastime for many of us, coloring as an adult has been shown to be therapeutic; it can help reduce anxiety and cultivate mindfulness. For a mountain getaway, we’re bringing Basford’s Enchanted Forest, an 84-page interactive coloring book with hidden treasure, mazes, and more. A longer drive, Cambria, California can be reached from Los Angeles in less than 4 hours and is well worth the mini-road trip. Founded in 1869, Cambria is the Latin name for Wales, and fittingly so as the small village is situated right on the sea. If salty air and uncrowded beaches are what you’re after, this is the weekend getaway for you. Originally a church built in 1880, the building is now home to The Bridge Street Inn, a charming, comfortable, and sociable bed-and-breakfast for locals and travelers alike. Valuing sustainability, the Inn is furnished with many recycled and repurposed items. With homemade muesli, a coffee and tea bar, and an unplugged environment (no televisions here), what more could you ask for during a weekend away on the coast? Starting at $50/night. Stroll the mile-long boardwalk, feel the sand beneath your toes, and search for moonstones on one of Cambria’s most secluded beaches, Moonstone Beach. Nature lovers will also enjoy a relaxing day in Fiscalini Ranch Preserve. With 430-acres to explore, it’s the perfect place to read, hike, or have a quiet picnic in the sun. Explore downtown Cambria and browse the unique, beach-town gift shops. And don’t forget to ride the charming Cambria Trolley, free and in operation Thursday through Sunday. Using local, organic, and fresh ingredients, Centrally Grown has crafted a delicious menu for a wholesome and memorable dining experience. Enjoy lunch, dinner, or both at this peaceful eatery overlooking Pacific waters. For a more low-key restaurant in town, visit Soto’s True Earth Market. Stocked with fresh produce, sustainable products, gourmet sandwiches, and local wines and beers, it’s the perfect shop for picnic ingredients or a nourishing meal on Main Street. Rupi Kaur’s latest book is best to read while sitting in the sand; the ocean waves a most appropriate backdrop to her collection of poems and illustrations. The Sun and Her Flowers, described as “A celebration of love in all its forms,” is the perfect book to take along for your weekend away from the city. For the road, or that long morning walk on the beach, author and blogger Estée Lalonde is sharing personal stories about womanhood, identity, makeup, travel, and more in her recently launched podcast, The Heart of It. A celebration of all things female, we highly recommend adding it to your weekend-getaway playlist.